Guaranteed you will be the only one who wears it at any parties, this pearl necklace is made of 6-7mm AA+ high quality genuine black round pearls. If you love to be unique, and be different, then this necklace is made just for you! 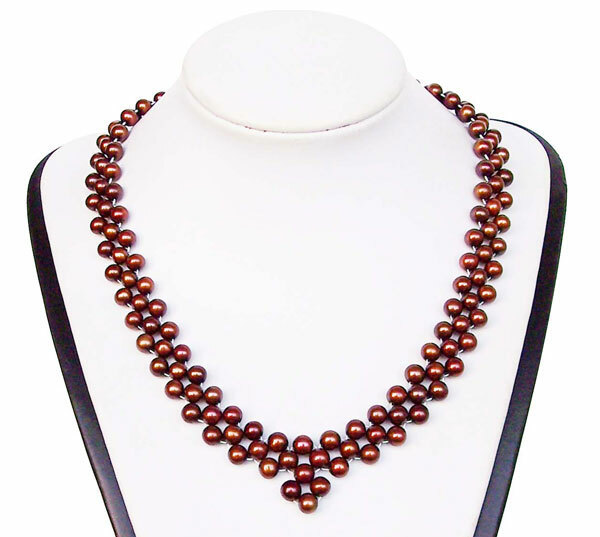 This necklace will not only give you that artistic touch, but it is also an exclusive design only available from our store. 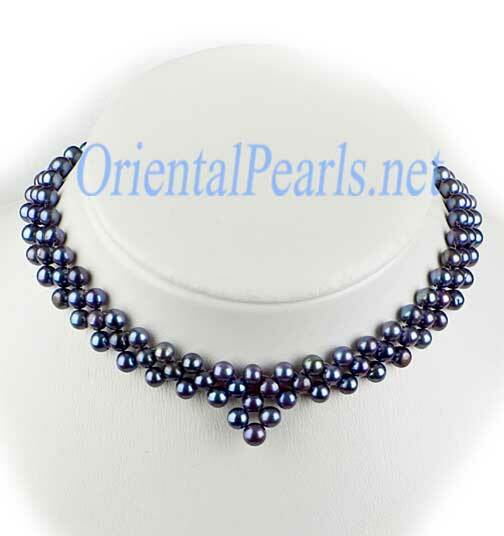 These black colored pearls have very high luster, with multi-color reflection from everywhere in very round shape. 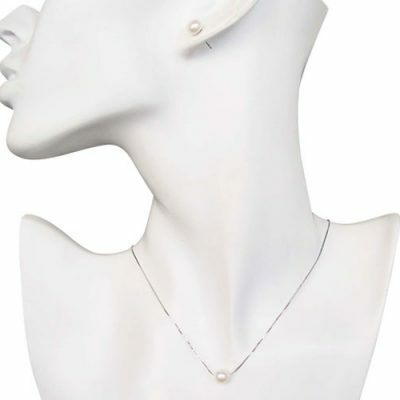 The unique design accentuates you with a V-shaped bib. 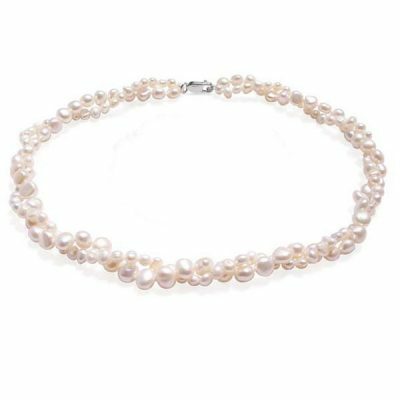 The necklace has a length of about 17″ long, and it is finished by a stamped sterling silver lobster clasp with 18k white gold overlay to make it tarnish- free. We can make it at any length that you specify for this necklace. Extra inch cost only $5. 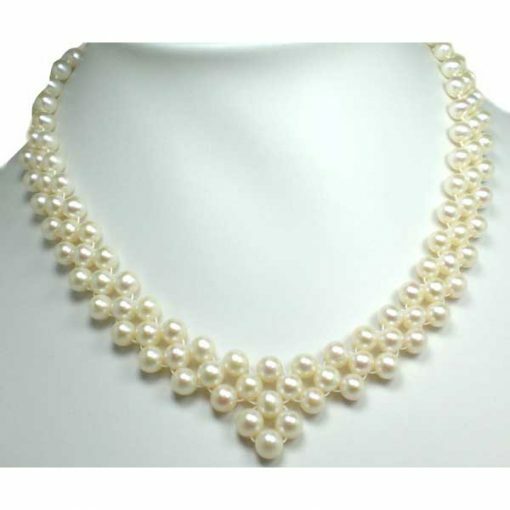 The unique look of this necklace is guaranteed to make you the only person in your town wearing this necklace. 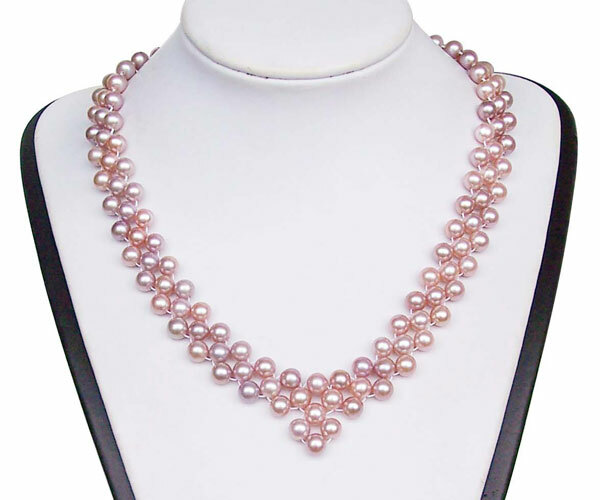 White, pink, mauve, and black colored pearls are also available for immediate delivery.